The areas that we offer our window, gutter and conservatory cleaning services. Winchcombe, Tewkesbury, Pamington, Deerhurst, Northway, Ashleworth, Corse Lawn, Staunton, Tirley, Fiddington, Alderton, Stoke Orchard, Tredington. Withington, Compton Abdale, Dowdeswell, Wittington, Brockhampton, Hazelton, Andoversford, Naunton, Ullenwood, Shipton Oliffe, Chedworth, Northleach, Upper Rissington, Rendcomb, Clapton-on-the-Hill, Eastington, Sheepscombe, Elkstone, Lower Swell, Bourton on the Water, Stow-on-the-Wold. Charlton Kings, Ryeworth, Battledown, Sandford, Springbank, Fairview, Prestbury, Cleeve Hill, Alstone, Arle, St Marks, Hester’s Way, Tivoli, Montpellier, Town Centre, Lansdown, The Park, Pitville, Leckhampton, Up Hatherley, St Peters, Swindon Village, Staverton, St Paul’s, Woodmancote, Elkstone, Shurdington, Bishop’s Cleeve. Badgeworth, Brockworth, Barnwood, Coopers Edge, Abbeydale, Abbeymead, Innsworth, Longlevens, Wotton, Linden, Barnwood, Tredworth, Coney Hill, Hucclecote, Churchdown, Kingsholm, Kingsway Village, Podsmead, Robinswood, Tuffley, Longford, Coopers Hill, Quedgeley, Westgate, Hempstead, Elmbridge, Matson, Moreton Valence, Brimpsfield. Highnam, Newnham, Lydbrook, Cinderford, Birdwood, Churcham, Ruspidge, Longhope, Newent, Lydney, Minsterworth, Littledean, Coleford, Huntley, Westbury-on-Severn, Yorkley, Milkwall, Whitecroft, Berryhill, St Briavels, Ruardean, Blakeney. 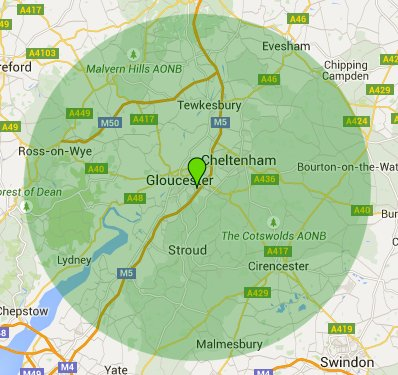 Stroud, Brimscombe, Woodchester, Cranham, Painswick, Stonehouse, Eastington, Cirencester, Siddington, Poulton, South Cerney, Somerford Keynes, Edge, Thrupp, Sapperton, Ranbury, Coates, Ampney St Mary, Nailsworth, Epney, Cam, Coaley. Please use the contact form or write an email to pjclean39@yahoo.co.uk if you have a query or a question that is not answered on this page.